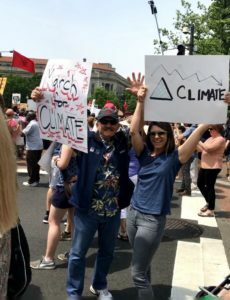 Our very own, Jack Zunino, was a participant in the People’s Climate March in D.C. on April 29, 2017. He, along with Fellow ASLA President-Elect Laura Miller, and Northern Section Trustee Lucy Joyce, were there to represent NVASLA and speak to members of Congress about the issues facing the Landscape Architecture profession. The March happened to coincide with their trip and so they, along with more than 150,000 other people, marched peacefully down Pennsylvania Avenue to show their support for the reality of climate change, how it is affecting our Earth, and the urgent need to do something about it now before we ruin our planet and kill off humankind. It’s known as “sunburn” in humans, but believe it or not, plants can get too much sun also. 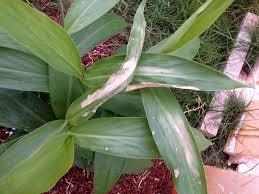 It’s called sunscald, and it turns your plant’s healthy, green leaves white. The outer layers of leaf tissue can actually burn up from too much UV light exposure. Once it happens there isn’t much you can do except to support your plant through the damage until it grows new, stronger leaves. Slowly acclimating new plants to the UV light rays is the best way to prevent sunscald. With a little more sunlight each day, your plants should be “hardened “in as little as two weeks. Of course, proper water and nutrition is vital for the healthiest of plants. This year it falls on two different dates in the United States. June 20 for Pacific, Mountain, and Central time zones and June 21 for the Eastern time zone. 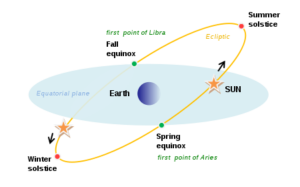 The solstice is measured by when the sun reaches is furthest from the equator. It is the day of the year with the most sunlight hours.